Justin Wong is one of the greatest fighting game players of all time, and he proved that yet again by using a brand new character for the entirety of a Street Fighter V tournament in Canada this past weekend. While opinions have been mixed concerning Ed, who was introduced to the Street Fighter V roster on May 30, he cleaned shop at Canada Cup: Vancouver, a prelude to the main Canada Cup event scheduled for October. The tournament included high-level players like Kyle “KyleP” Palsson, Ricki Ortiz, and Ryan “Filipino Champ” Ramirez, many of whom fell victim to Wong’s decision to utilize Ed against the stacked field. Wong’s Ed first appeared on stream during an early bracket match against Canada Cup organizer Lap Chi Duong. The commentators were obviously surprised by this turn of events, but Duong had a different reaction entirely, making faces at Wong and placing his sunglasses on his face as a sort of “Yeah, okay Justin” gesture to his opponent. But despite what he thought, Wong was able to easily make his way past Duong’s Rashid with a 2-0 set score. As the tournament drew to a close, only a former Evil Geniuses teammate stood in Wong’s way. Since the Street Fighter IV era, Kenneth “K-Brad” Bradley has enforced his will on competitive matches with Cammy’s potent offensive power. He was hoping to do so against Wong. Ed, on the other hand, is a bit of a wild card, even if Wong’s skills are a known quantity in the fighting game community. Without much exposure on the competitive circuit, the character’s mixture of Balrog’s boxing abilities and M. Bison’s Pyscho Power bewildered many of the players Wong was matched up against. He entered grand finals with a near-flawless record. It became clear over the course of his match with K-Brad that Wong is still learning Ed. Instead of busting out flashy strategies, he relied entirely on the fundamentals that have made him a threat for the last two decades. By countering the various aspects of K-Brad’s offense, Wong was able to keep his opponent from establishing any sort of rhythm. He consistently chipped away at Cammy’s life. 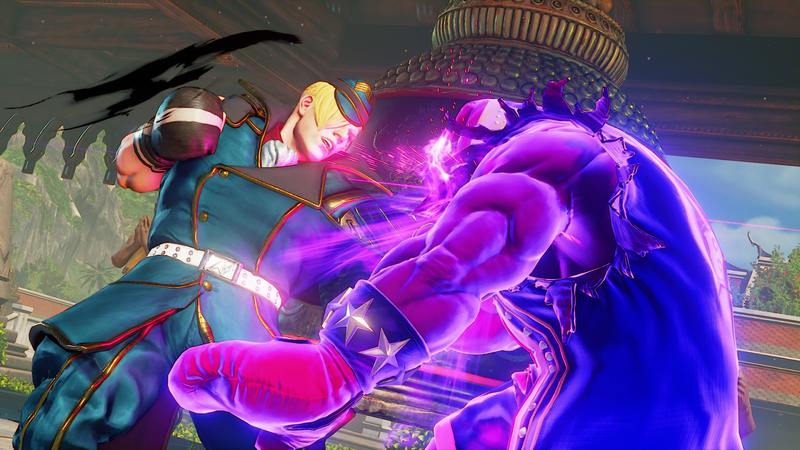 Wong made it look like a complete nightmare for Cammy players, securing his tournament victory with a scary 3-0 sweep. But the mystery remained: why did Wong pick Ed in the first place? Since arriving earlier this year, Ed has yet to make much of an impact on high-level Street Fighter V competition, making Wong’s performance at Canada Cup: Vancouver a remarkable first step for a character that hasn’t received much attention. Shortly after winning, the newly-crowned champion took to Twitter to fill in the gaps, saying that Duong promised to put up some extra money if he used Ed throughout the entire event. When praised for his defensive play, Wong explained that the character should be played “as slippery as possible” to best utilize his simplistic toolset. It’s these types of tactics that have, for the most part, formed the basis of Wong’s success, and it wouldn’t be surprising to see Ed factor heavily into his Street Fighter V career moving forward. For more, be sure to check out Wong and K-Brad’s entire match in the official Canada Cup: Vancouver archive, starting around 04:13:15.